"ALL GAVE SOME -- SOME GAVE ALL"
that [sic] lost their lives while serving their country. The plaque is affixed to the base of the Gold Star Memorial. 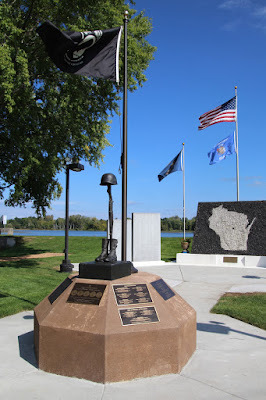 Veterans Memorial Park in Iola, Wisconsin.